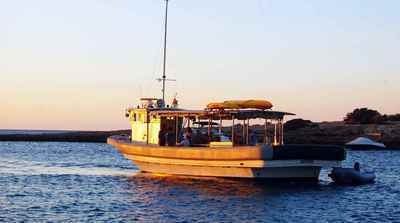 Built in Japan, it was a fishing boat for tunas in the Pacific. 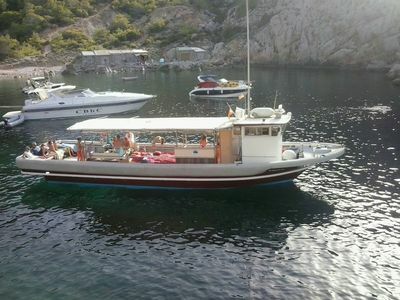 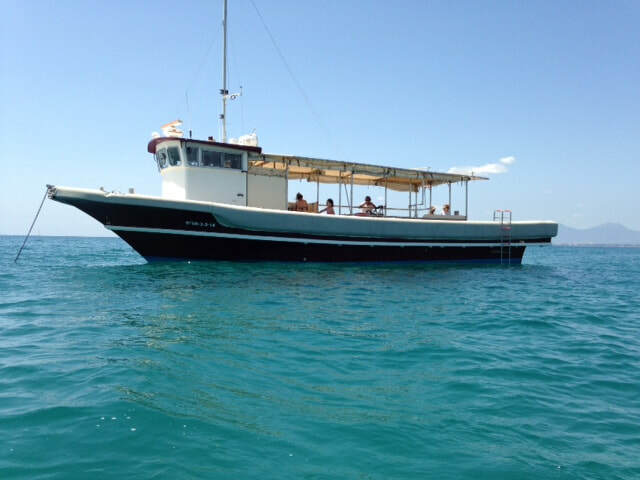 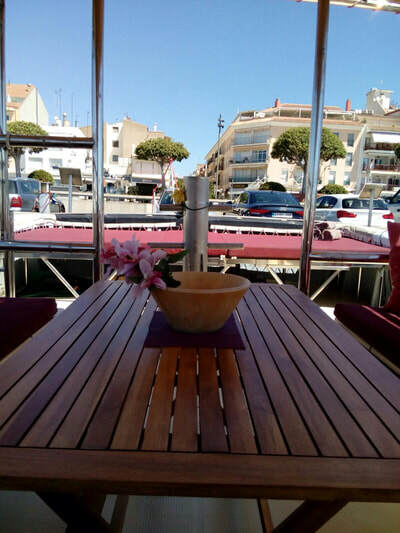 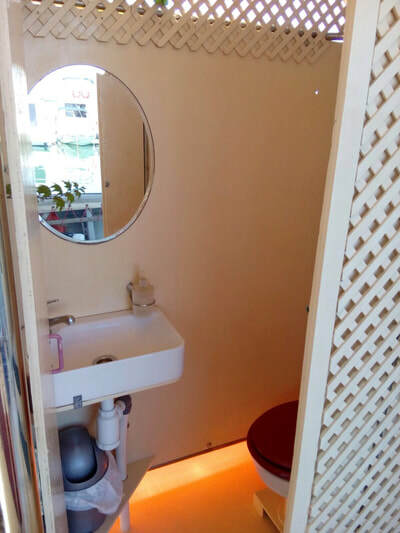 Now it is completely remodeled and adapted for events of all kinds in Barcelona, it is an authentic floating chill out ideal for hen and stag parties, family celebrations, corporate parties. 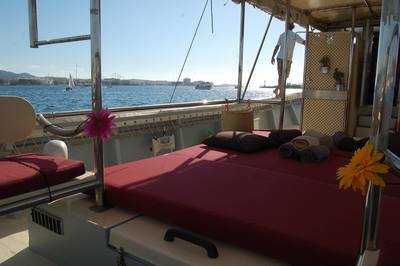 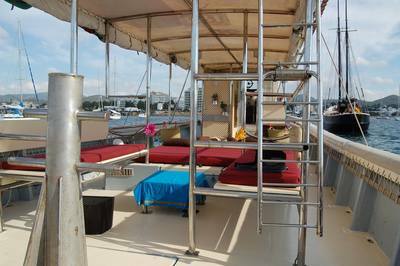 More than 16 meters long with all the comfort of a flat deck, spacious and with mattresses. 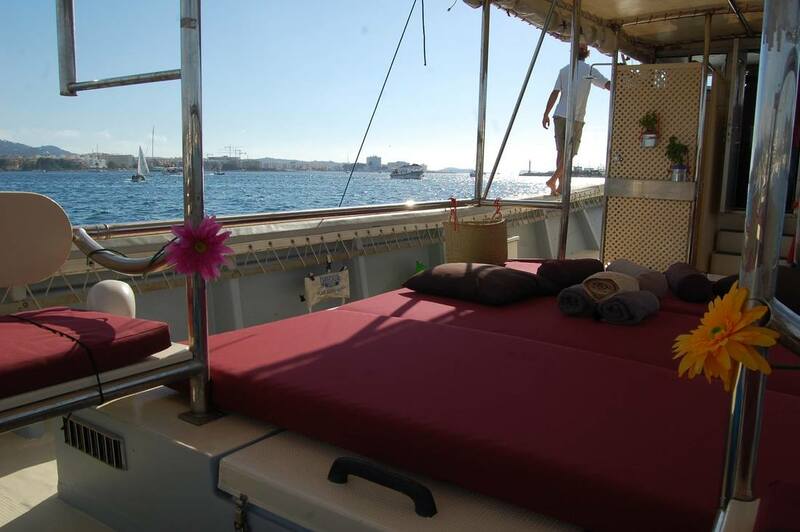 Enjoy it all year round in Barcelona. 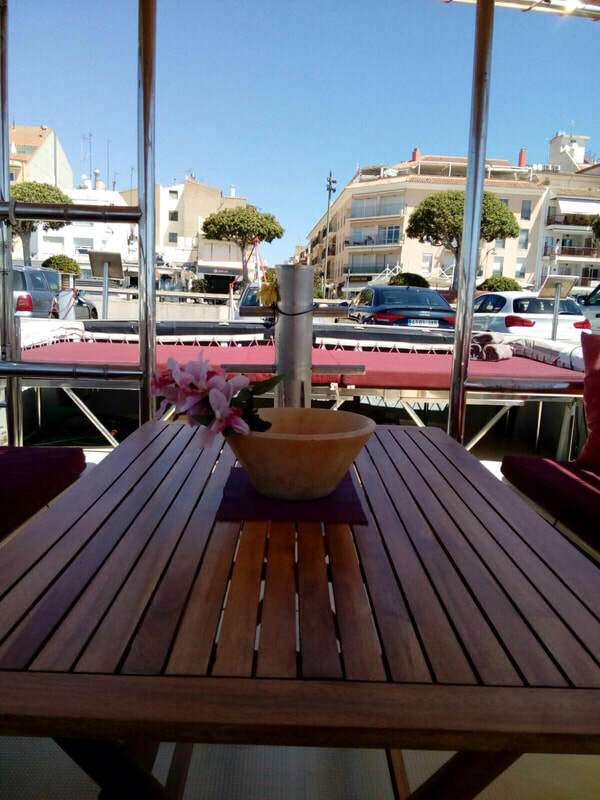 ​VAT 21%, boat insurance and guests, mooring in Port Olympic of Barcelona, dinghy, snorkeling equipment, skipper, fuel, drinks (water, beer, sodas, wine, champagne) and snacks.